Super Spins is not just any online casino. Instead, Super Spins Casino is a brand new online gaming arena from the UK-based 8 Ball limited. Although the history of Super spins dates back to 2015, the platform has seen a lot of changes that also includes a brand new operator. This also includes changes in the selection and quality of the games. As well, they have also made some changes in their banking alternatives. There are lots of new additions and improvement in the payout speed. However, there is no change in the welcome package as well as the wagering terms. However, there is no doubt that Super Spins under its new management has made a lot of significant changes. Indeed, everything about Super Spins is superb. They certainly live up to their name in providing a super gaming experience to its customers. Let’s leave the past behind and move ahead with the new vibe that Super Spins has to offer. This time, Super Spins promises to be fair at all times. Hence, you can expect fairness in their games as well as their services. Of course, with a dual license from the UK Gambling Commission and the Malta Gambling Authority, there is no doubt that Super Spins would keep to their end of the deal. This also includes providing a safe environment for all players. Hence, Super Spins adopts a conventional 128-bit SSL encryption technology to protect their servers. Also, Super Spins is obligated to keep all your information safe at all times. Like we have mentioned, Super Spins did not make any changes in the quality of their welcome package. Rather, they continued in the offer wherein every new player receives a 100% bonus up to £200. As well, there are a massive 100 extra spins up for grabs. However, the extra turns are shared over the first three deposits. 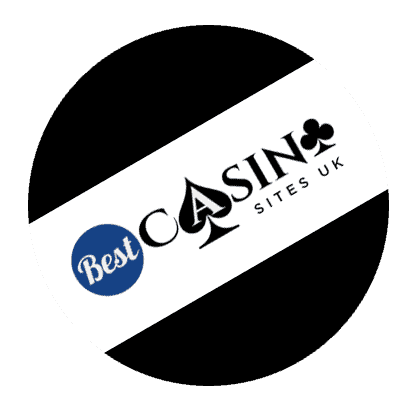 Hence, the first deposit rewards every new player with as much as £200 and 20 additional spins. Afterwards, the second and third deposit offers 40 extra spins respectively. Of course, with the current trend in the world of gambling, this offer is not a great one. To make it worse, the wagering requirement is enormous. Players who decide to grab the welcome package must have to wager a minimum of 35 times on selected games before requesting for payout. Also, you have 21 days to reach that target. Each of the developments has its perks and requirements. So, it is completely up to you to decide what you want. Meanwhile, there are a lot of new additions to the selection of games at Super Spins. Even more, they promise to always key their selections up to date. So far, they have put together a collection of games in different categories that include Live Casino games; Classic Games; Scratch cards; Video Slots; Featured Games and New Games. If you want to see some of the most played games, then check out the featured games. However, if you’re going to see the recent additions by Super Spins, the New Games section is where you should go. All the payments are handled by Aspire Global. Indeed, they have been feeling deposits and withdrawals for many top casinos. So, there is no doubt that Super Spins would offer a seamless transaction process for all banking operations. As well, there are lots of payment alternatives. Just in case you get a little confused, you can always get in touch with the team of support to help guide your decision. As well, the support team is available to provide you with answers and solutions. In conclusion, Super Spins Casino presents a super online casino that would surely offer you super gaming experience. There are lots of quality titles from the best providers. However, the welcome bonus is not a good one. In general, every other feature seems to be in place.